Kelsey is an illustrator and recent graduate from the University of the Arts. She described her style to me as "classy punk," to which I asked, "Does that mean you listen to a lot of punk?" "I used to," she answered, "but now I class it up a bit." Here, that translates into "some Navy style" jacket with an H&M scarf and a pair of cat-eye sunglasses by Ray-Ban. She has "no idea what the lower half is." Lately, she's been listening to a lot of "doom wop," the musical hybrid of doo wop and doom. I asked if she could name a band for me, since, frankly, I was having a hard time imagining what that would mean. She suggested Mister Heavenly. I just got through listening to a couple of their songs. I like them pretty well, but I'm still having trouble discerning any doo wop influence. By the way, if you want to check out Kelsey's illustration work, visit her website at www.kelseykrebs.com. Merry Christmas, all! 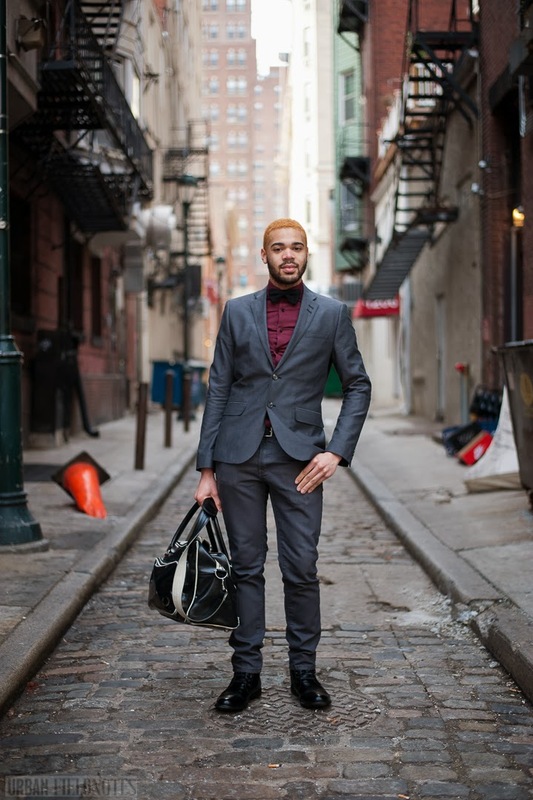 To celebrate, here's one of my favorite pics from the last few weeks, shot in an alley off 12th St. D'Angelo is wearing shoes by Steve Madden, jeans by Ring of Fire, a bow tie and blazer from H&M, and a bag by Fred Perry. 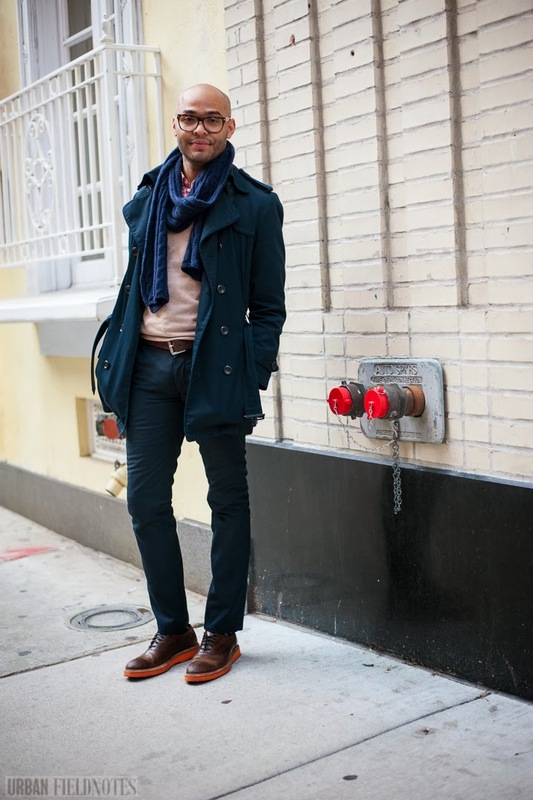 He describes his style as a mix of professional with casual. He doesn't really enjoy slacks, he says, but likes button-down shirts and nice (but not too nice) pairs of jeans. His is "fashion on a budget." D'Angelo was on his way to get his haircut when I stopped him. I'm sure he looked even sharper later on. 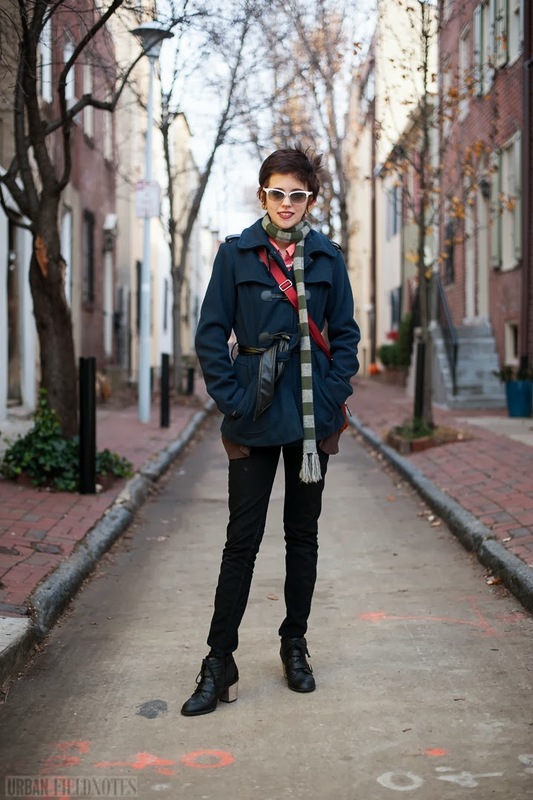 Some of the best days to shoot street style are those occasional, unseasonably warm days in late fall and early winter. People leave their heavy coats in the closet for the moment and put on those otherwise weather-inappropriate outfits they've been aching to wear for months. This last Friday, it reached the mid-50s after several weeks in the 30s. I put everything else on my schedule on hold to go out and shoot for a few hours. It paid off. 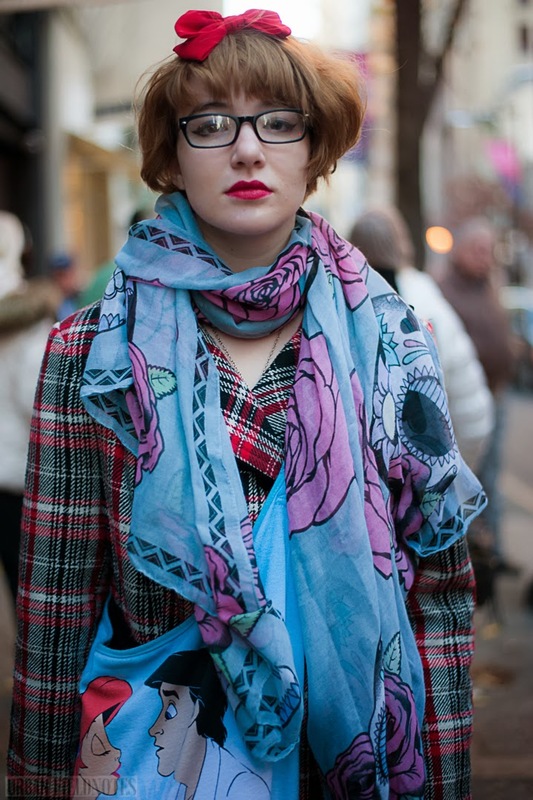 Karen was the first person I found whom I wanted to photograph amidst the crowd of Christmas shoppers and commuters. 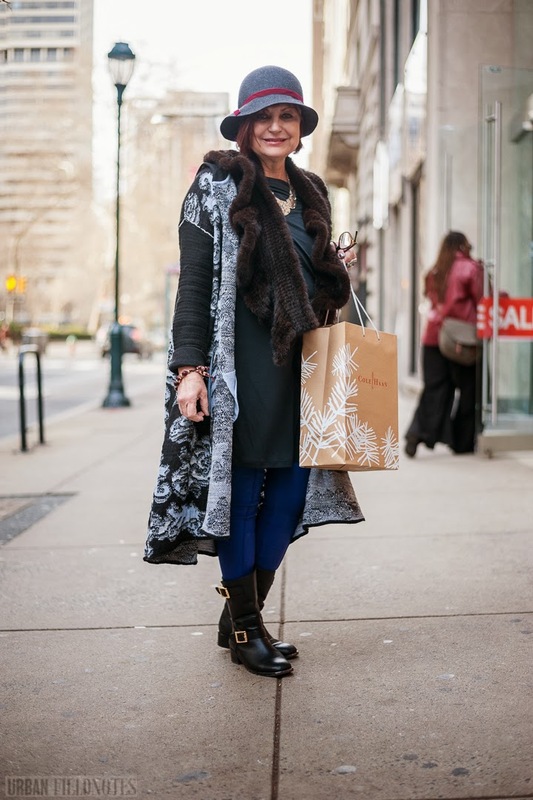 A recently retired high school teacher, she's one of the most stylish Philadelphians of any age I've spotted recently. Nonetheless, she was surprised, and I think a little tickled, that I wanted to photograph her. "My students will get such a kick out of this!" she told me. 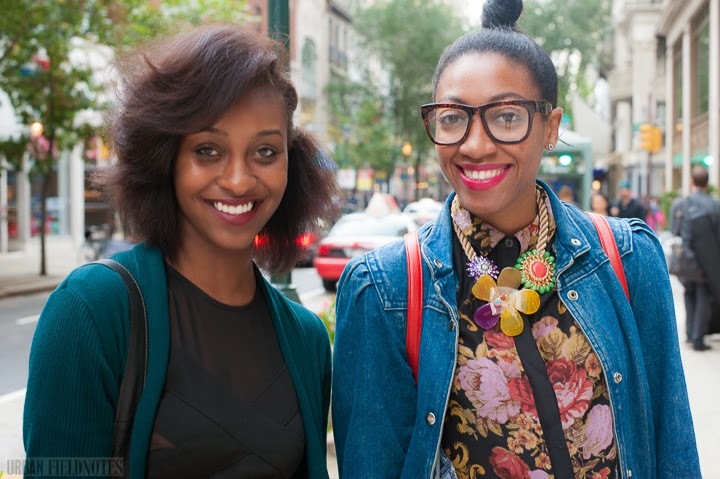 This is the best thing about shooting street style: those little connections you make with other human beings, out there in the "real world." So much for the popular representation of bloggers as misanthropic shut-ins. Karen is wearing a sweater (or is it a coat?) from Free People, a scarf from Saks 5th Ave, a dress from Theory ("or something like that"), boots by Vince Camuto, and a hat from Anthropologie. Yeah, so I hadn't intended to post today. I've been trying to limit my posts to three days a week, so that they don't take over my whole life. But then, you know, I started to realize that I have dozens more pictures from the last New York Fashion Week and the next one is only a couple more months away. So I'm going to start posting some of them every once in a while. Consider this a bonus post. 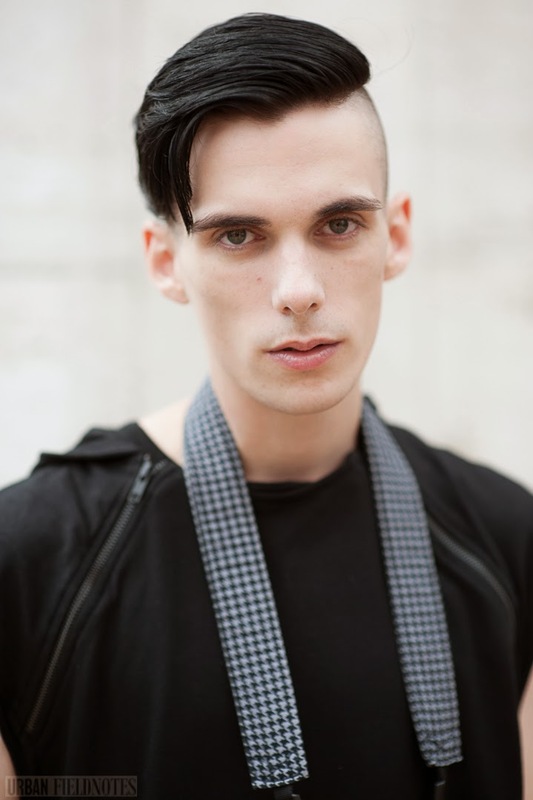 I met Taylor Horne through a mutual acquaintance on Facebook, then found myself at Fashion Week trying to figure out where I knew him from. One of those instances of virtual life bleeding into the everyday. Fashion Week is full of those. Taylor is a fashion photographer, formerly based in Philly. He's a New Yorker now. You can check out his work at ihatetaylorhorne.com. Winter is the great fashion equalizer. Nearly everyone wears the same thing: a heavy coat, a scarf, and a hat. For the more fashionable among us, this means sacrificing style for comfort. Those little touches and flourishes that make one stylish in the first place get hidden away beneath layers of wool, or simply left at home on a dresser or in a drawer for a brighter, warmer day. For the less fashionable among us, however, a heavy coat, a scarf, and a hat may be just the thing. These are more embellishes than the average person wears on a given day. They elevate their style to a more level playing field. But who wants to play the fashion game on a day like today? On the streets of Philadelphia in winter, the rich colors of Summer and Fall give way to a monotonous black and brown. The streets are filled with a dull, flat light. Thank God for bright, unnatural hair. Speaking of which, Rita, whose glowing red hair stood out in the early winter day like an Olympic torch, is wearing a coat by BB Dakota, a sweater by Forever 21, jeans by Urban Outfitters (or more likely one of their house brands, BDG, probably), and shoes by H&M (if one can claim that anything is really "by H&M"). Rita says she's going through a phase right now where she's trying to figure out how to make her style more "grown up" without losing its fun. She's going to graduate from college this year, and she's been thinking that there's probably too much cutesy stuff in her wardrobe: owls, lunch boxes, the various twee accoutrements of contemporary indie culture. But it's still not entirely clear to her what "more grown up" would mean. I took these photos weeks ago and haven't had a chance to edit and post them. It's been a crazy last few weeks! So if you're looking at these photos and wondering, did Philly just have an unseasonable warm spell? The answer is no. No, Philly did not have a warm spell. It is quite cold here right now, thank you. It makes scouting street style quite a difficult task. You may recognize DJ (right) from an earlier post on Urban Fieldnotes. And as for Glen, well, I hope I got your name right. It wasn't 100% clear on the photo release, so if I got it wrong just let me know. Ah, the hazards of the written word! I haven't had much to say these last couple of weeks, and I apologize for that. It's the end of the term at Drexel, and I've been too swamped with work to write anything of value. So I figured I'd let my images speak for themselves for once. As if images could do that. Here is Hanneli Mustaparta. 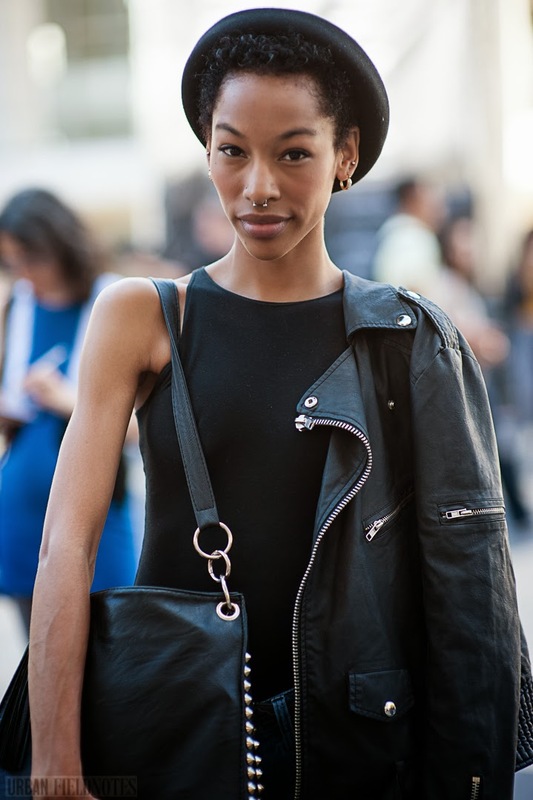 Regular street style blog readers will recognize her immediately. She's a Norwegian blogger, photographer, stylist, and formal model, but most of all, she's a street style icon, popping up in various guises throughout the street style blogosphere. I've already written at length on this blog about street style icons, their peculiar sort of fame, and the way they negotiate their celebrity on the sidewalks of Fashion Week. All that applies here as well, and I don't have much to add to the discussion at the moment. 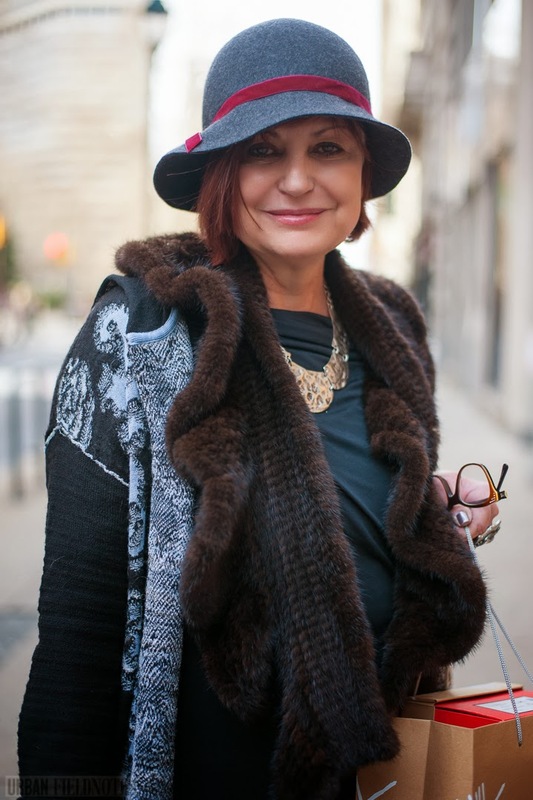 But it is worth pondering, once again, what makes a street style subject into an "icon." How many times does one have to be photographed before they become an icon? And how widely does one have to be recognized? 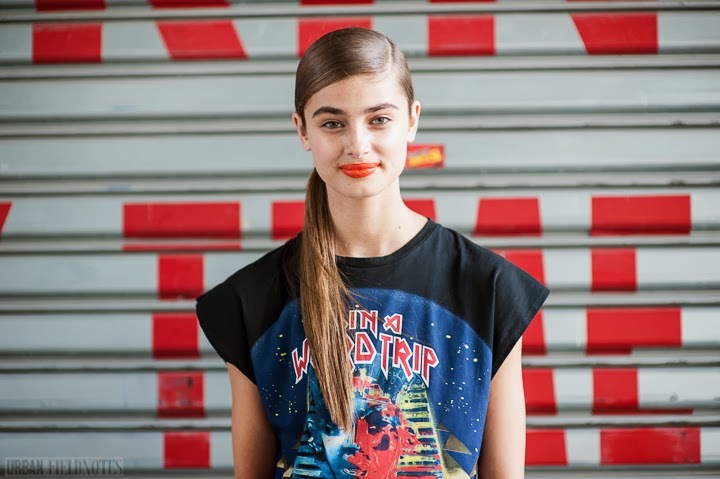 Is a street style icon a fashion icon? Or is their icon status confined solely to the street style blogosphere? Is this iconicity transferable to other realms? Is it convertible to currency? Or is its value wholly contextual, good for street style and nothing else? 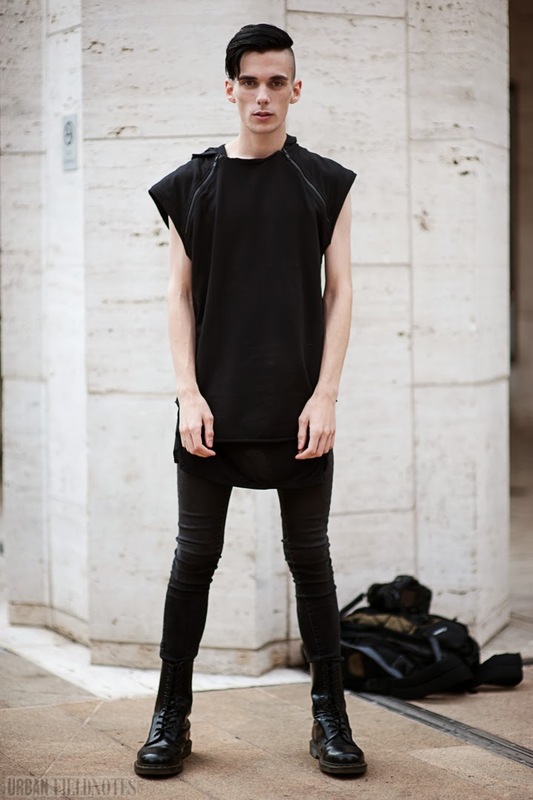 I, for one, am inclined to think of street style iconicity as something of a stepping stone to fashion iconicity. In itself, it is of little value. But once it gains one access to the closed doors of the fashion industry, well that's a different story.